Plant Selection – We often think of this first, but it should come in much later in your planning process. There is an overwhelming selection of food plants in an overwhelming number of catalogs. Plant what you want to eat. If you are a beginner, choose three to five fruits and vegetables and one to three cultivars, or selections, of each. As you become more experienced, expand your garden palette. The gardener with the most plants does not always win. For the more experienced or adventurous gardener, take the next step: consider using the age-old practice of companion planting. In garden design we typically arrange plants by their physical attributes: height, width, growth rate, habit and seasonal interest. With companion planting we group plants together that support each other. For example: plant parsley with tomatoes. Why? Parsley attracts the parasitic wasp that preys on tomato and tobacco hornworms (caterpillars of sphinx moths). These hornworms eat tomato plants, the whole plant, in 1-3 days. David Jacke, in his two volume set Edible Forest Gardens, has categorized plants by their architecture or physical attributes and their functions in the garden: N2 fixer, dynamic accumulator, wildlife attractor, nectary, shelter, breeding habitat, groundcover, and others. You may be familiar with N2 fixers – many species of the pea and bean family – and the groundcovers that go a long way in preventing weeds. You may not be as familiar with dynamic accumulators, plants that take up and store nutrients and then release them back into the soil as they decompose. Nectary plants attract the “good” bugs that eat or parasitize the “bad” bugs. This is the wisdom our grandparents knew and what we are now rediscovering. Think of this as plant-profiling. David Jacke in Edible Forest Gardens, Vol. 2, and Robert Kouric in Designing and Maintaining Your Edible Landscape Naturally have created lists based on plant functions that will help you decide which plants will play well with others. One final note about plant selection – while many plants support, there are some that inhibit. Plants cannot move from their rooted place, so they have developed strategies to be successful. Consider the black walnut. It is just as well-known for its allelopathic action on the potato/tomato and rose families as it is for its tasty nuts. Have you noticed that plants, other than sunflowers, do not grow as well under birdfeeders filled with sunflower seeds? The discarded seedcoats inhibit seed germination of other plants. Antagonistic plant relationships often explain why some plants and gardens fail to thrive. 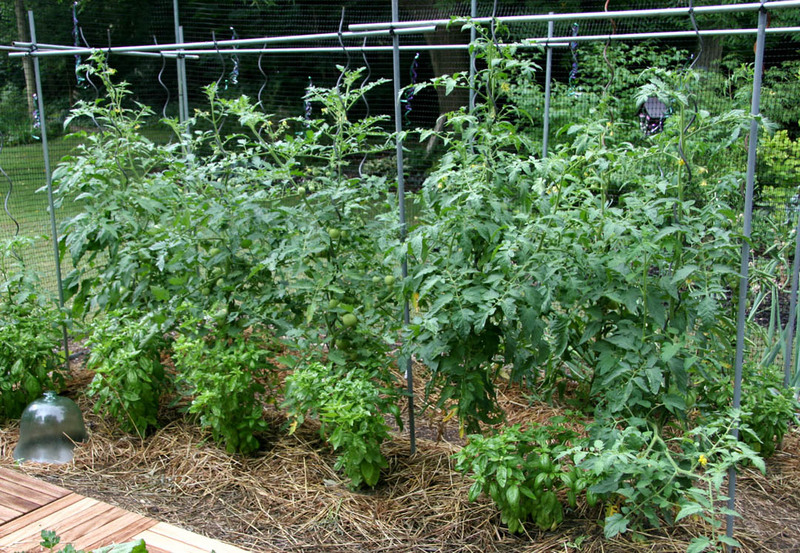 Many find the idea of creating and maintaining food gardens to be a daunting task. There is no replacement for experience, but there are many resources for the novice and expert alike. Check out your state extension office and look around your neighborhood. The closest “expert” may be your neighbor. Jacke, D. and E. Toensmeier. 2005. Edible Forest Gardens (2 volumes). Chelsea Green Publishing Co., White River Junction, VT; Kourik, R. 1986. 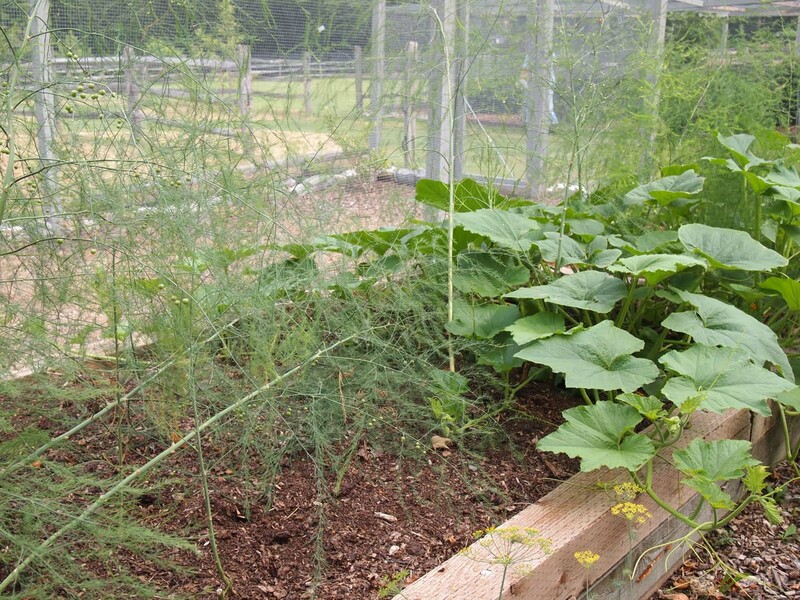 Designing and Maintaining Your Edible Landscape Naturally. Metamorphic Press, Santa Rosa, CA. Republished: 2005. Chelsea Green Publishing Co., White River Junction, VT.; Soler, I. 2011. 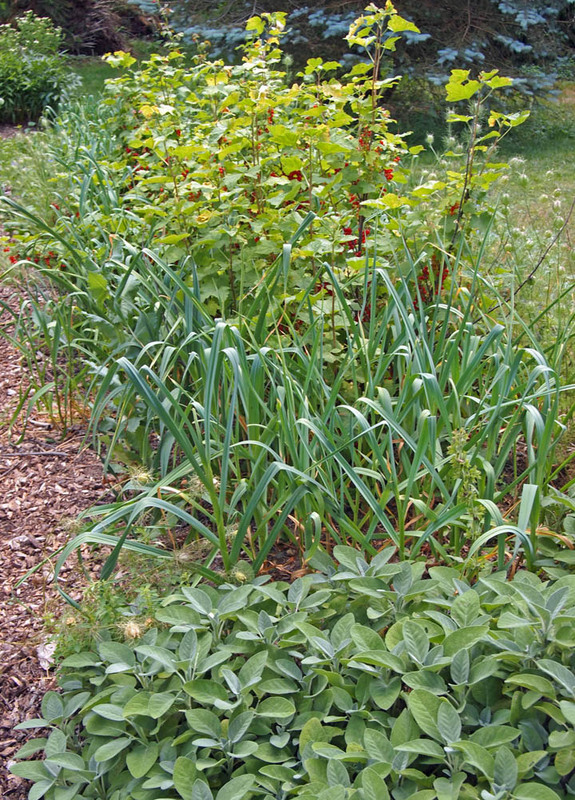 The Edible Front Yard: the Mow-less, Grow-more Plan for a Beautiful, Bountiful Garden. Timber Press, Portland OR.